“A Simple Composition” prints are made in archival inks on Epson Silky Photo Paper, Cold Press Digital Giclee Paper or Artist Canvas. I really wanted the silhouette of the crow against the uncertain, flat post-storm sky but, still dim from rain, my camera didn’t focus fast enough and I caught this simple balanced composition instead. Maybe that’s what I was intended to get. 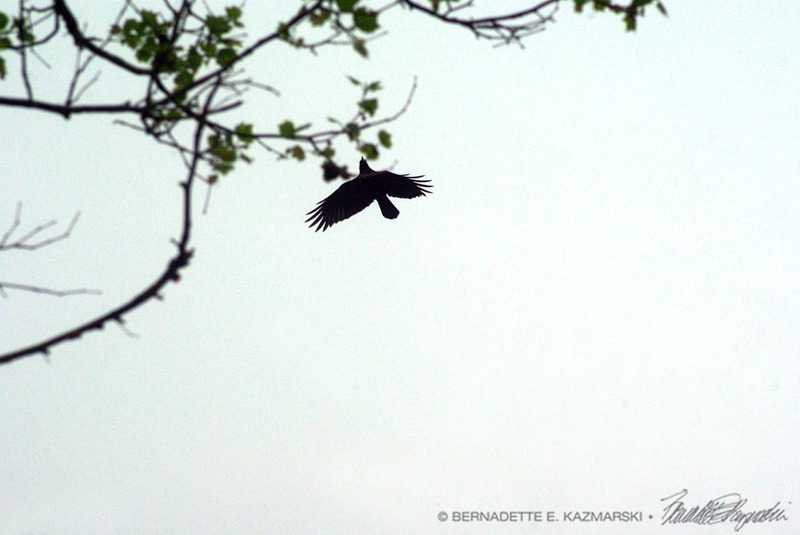 This entry was posted in canvas print, photographs, print, wildlife art and tagged bare branches, bird, crow, photo, photography, silhouette, tree, wildlife on August 18, 2016 by Bernadette.